Margaret E. Goodman Memorial Library | Southwest Branch - Manitoba Genealogical Society Inc. The South West Branch Library was dedicated to Margaret E. Goodman in 2008. Margaret was a long-time member who dedicated many hours and resources to the Branch. The Branch Library has a large collection of Manitoba community books focusing mainly on the southwest corner of Manitoba. 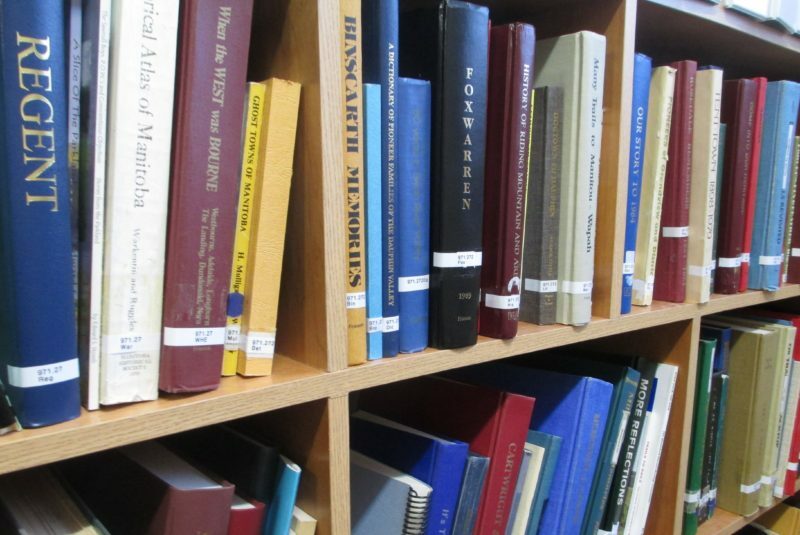 This collection has community history books, church histories, school district histories, school and college yearbooks. The library also has many “how to” books on getting started with a genealogical search, along with resource publications from other provinces and countries purchased by the branch or donated by our members.